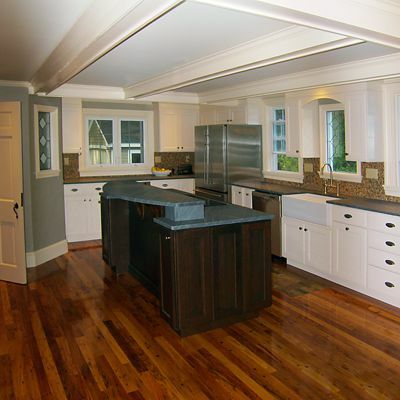 This kitchen was designed for the renovation of an 1850 Greek Revival house. Classic elements dominate the space, downplaying the modern appliances that add convenience without sacrificing ambiance. 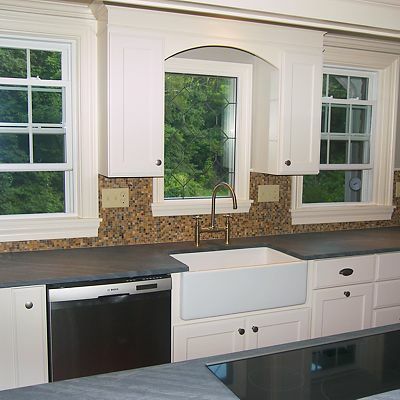 The large old-fashioned farmer's sink, made a focal point with feature window and cabinets framing the view, is accompanied by a sleek dishwasher. 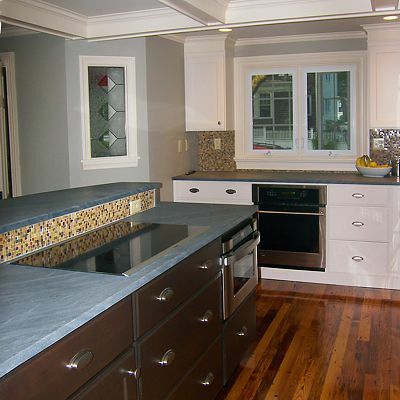 The working island includes an induction cooktop and drawer-style microwave.